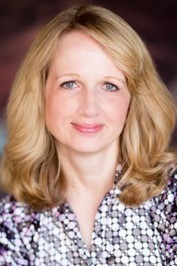 Lisa Schroeder is the author of more than twenty books for kids and teens. Her latest young adult novel is ALL WE HAVE IS NOW, and the latest novel for 8-12 year olds is SEE YOU ON A STARRY NIGHT, both with Scholastic. She lives in Oregon where she spends her time reading, writing, baking yummy treats, and hiking with her family. To ask Lisa Schroeder questions, please sign up. Hi, I am Anna and I just started reading I Heart You, You Haunt Me, and I was wondering what inspired you to write such a deep, yet fascinating book? By the way, it is awesome so far! I love your verse novels like "I Heart You, You Haunt Me" and "The Day Before" (actually, they're part of what inspired me to start writing poetry), but you're the only author I've encountered so far who writes them. Do you know any other verse novels you would recommend? Some of these authors have other books, so if you like the one mentioned here, definitely check out the others. If you had asked me back in 2002 when I started seriously writing and submitting to agents and publishers if I thought it was possible for me to publish 20 books for kids and teens, I probably would have thought it was completely impossible. But nothing's impossible. And tomorrow my 20th published book is officially released by Scholastic. We’d love your help. Let us know what’s wrong with this preview of Dear Mrs. Bird by A.J. Pearce. KEYS TO THE CITY, starring Lindy in New York Ci Now available in Paperback!! We’d love your help. Let us know what’s wrong with this preview of My Secret Guide to Paris by Lisa Schroeder. Booklist says, "...there is an innocent optimism and positivity to the tale that is as sweetly refreshing as a dip in the ocean." Publisher's Weekly says, "Schroeder offers solid character portraits and a reassuring tone that draws readers into Juliet Booklist says, "...there is an innocent optimism and positivity to the tale that is as sweetly refreshing as a dip in the ocean." Publisher's Weekly says, "Schroeder offers solid character portraits and a reassuring tone that draws readers into Juliet's journey as she navigates her jumbled feelings, gains self-confidence and friends, and opens up to her evolving family dynamics." My latest book is out now and I hope you'll check it out! It's my message in a bottle book. It's my help other people to help yourself forget about your own problems for a little while book. It's my I survived divorce as a child and you can too book. It's my I love Vincent van Gogh book. This book, you guys. Wow. What a treasure. An award contender for sure. I'll be thinking about Nisha for a long time. We’d love your help. Let us know what’s wrong with this preview of The Night Diary by Veera Hiranandani. Reminded me of THE PENDERWICKS. Really enjoyed it. We’d love your help. Let us know what’s wrong with this preview of The Vanderbeekers of 141st Street by Karina Yan Glaser. “Was it hard?" I ask. “Come with me,' Mom says. Which do you want to read or re-read for our BOM in May 2014? Are you an adult who enjoys reading young adult and kids books as much as adult ones? Join us and let's talk. ITS ALL ABOUT TWILIGHT SERIES AND YA! if you don't like it, don't worry. Hardly anyone does. Lisa wrote: "Awww, will you tell your friend THANK YOU from me? Give her a big hug and tell her I love, love, LOVE that she gave you my books as a gift. And thank YOU Courtney for reading and writing to me. I'..."
Well, you're very welcome, I guess. I'm actually kind of surprised that you responded to my little comment, so THANK YOU! ^-^ I love to write, (I mostly write poems and short stories) but after reading your book, I've started to write my own verse novel. It's not even near being done, but thank you for giving me the inspiration. ^-^ I appreciate it. Awww, will you tell your friend THANK YOU from me? Give her a big hug and tell her I love, love, LOVE that she gave you my books as a gift. I don't know why, but I do have a thing for A names. And did you see in the next book, there is an Amber and a Cade?? Another A & C combination. WOW!!! Courtney wrote: "My friend gave me I Heart You, You Haunt Me and Far From You for Christmas because she said they were her favourite books ever, and I loved them! ^-^ I love the way it's written in verse. :P I just..."
Perla Goode wrote: "Chasing Brooklyn was fantastic! Can't wait until your next book. 8D"
Thanks for letting me know - I'm so glad you enjoyed it! Yes, my next one is called THE DAY BEFORE and will be out in June, 2011. I'm really excited to share it with my readers!!! Creative wrote: "Lisa, you have a new book coming out? *screams with delight* Now I have to wait for it's release!" Lisa, you have a new book coming out? *screams with delight* Now I have to wait for it's release! Marissa wrote: "Hi Lisa! I just finished reading Far From You, and I just wanted to tell you that it was really great! (:"
Hi! Sorry I'm just now replying. Thanks so much for reading my book. I'm glad you liked it!! Severa wrote: "Hello Lisa!! I finished Far from You about a week ago. And again! Another great story that I really loved and enjoyed so much!" thank you so much for letting me know. I'm really glad you liked it!!! Hello Lisa!! I finished Far from You about a week ago. And again! Another great story that I really loved and enjoyed so much! Hi Lisa! Thanks for the add. :) Nice to meet you! Hi & thank you for being a friend on Good Reads. Thanks for the friendship on Goodreads and hope to chat soon. Hope you have a great wkend! Hello Lisa, I just finished "I heart you,you haunt me" And I have to tell you how beautiful it was. I loved it. I've been into the paranormal and ghosts all my life and this was just fantastic. It really hit me emotionally and I really enjoyed it. Thank you for writing it.